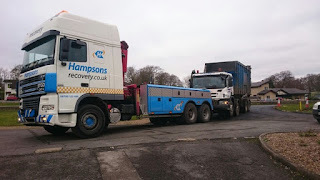 Hampsons recovery once again come to the rescue! This time its a eight wheel roll on off bin wagon that has suffered a fire. Our skilled operative recovered from the busy A1 back to the company's depot.